Did you have your Vishwakarma Puja today? ‘Vishwakarma Puja’ translates to ‘The festival day of Vishwakarma’ and is held around mid September. Vishwakarma is the Hindu Deity of artists, craftsman, engineers, architects, as well as other professionals and industries. 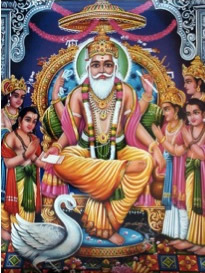 This of course means, Vishwakarma is the Hindu Deity of kite makers & kite flyers! How cool is that?! It was a day when Kolkata literally took to the rooftops, as it were, to celebrate the Vishwakarma puja. Since morning, children and adults alike scrambled to their or neighbours’ rooftops or went down to the park to kickstart the Puja celebrations by flying kites. Five-year-old Raghav Basu, who goes to a kindergarten in North Kolkata, may be too young to fly kites but that did not stop him from buying them. “I like the colours,” he said. Like Raghav, most children were on their rooftops to fight old-fashioned kite wars. Star Theatre in North Kolkata was the venue for many kite lovers with the organisers putting up a display of colourful kites. Especially popular with the children and the adults was a section on Chinese kites, which were bird-shaped. Arijit Dutta, the owner of Star theatre, said, “These days, we hardly see people interested in flying kites and the numbers are dropping every year. The situation is worse in South Kolkata. 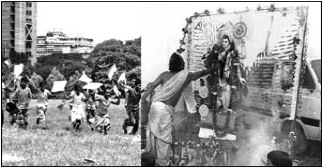 The tradition is still alive to an extent in North Kolkata. One of the reasons for organising the festival, he said, was also to encourage the youngsters to fly kites once again. Apart from Kolkata, he said similar competitions were also organised in Balurghat in North Bengal. Kite-flying has been a favorite pastime in Afghanistan for centuries. 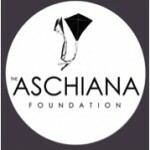 The Aschiana Foundation provides education, vocational training and other crucial programs to Afghan orphans and street-working children and their families, by making and selling authentic Afghan kites. 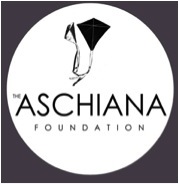 All proceeds from your purchase go to Aschiana. These unique, colorful kites are handmade of wood and paper by the students at Aschiana vocational school in Kabul, Afghanistan. Each kite bears a message of peace in Pashto or Dari, the country’s two main languages, as well as a stamp of authenticity from Aschiana. An English translation of the message is also included. VietNamNet Bridge – Everyday, people see thousands of kites soaring in the blue sky over the crowded residential area in north-west Hanoi. An enthusiast flies kite on the beach. This is Ba Duong Noi, a village long known for its beautifully crafted kites made in the shapes of crescent moons or boats and attached with small flutes that play soft melodies as the wind passes through their wooden bodies. Dating back to the Dinh dynasty in the 10th century, the village has a reputation as one of Vietnam’s kite flying centers. To local villagers, Ba kites are not only the pride of the village but also a means for villagers to send their prayers for warm weather and abundant crops into the sky. Kites symbolize good luck and if kites fly higher and higher, the harvest will be better. Bathed in the glistening rays of the sunset in a peaceful countryside, layers and layers of Ba kites soar and swing over the Nhi Ha river, and under them, kids, young couples and families lie on the embankments of immense green rice fields and enjoy the sweet melodies and rhythms in harmony with the whispers and laughs of the people, sometimes. The kites are also means for weather forecast, he added. Whatever meanings they may have, Ba kites are the passion of most local villagers. 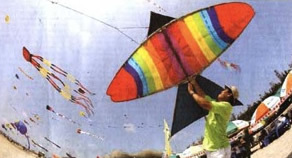 Unlike Hue kites, which are colorful and have many shapes, Ba kites’ shapes are simple without tails but the flutes are delicate, filled with emotions and feelings, rhythms, carrying artisans’ hearts. In Ba Duong Noi village, kites seem to be stamped on the minds of each child. The passion is handed down from generation to generation. “I’m excited to fly kites after a working day, especially under a full-moon with twinkling stars, I can find peace and escape the bustling noise of daily life,” said Nguyen Van Quyet, a local kite lover. “To me, whenever I have problems, I often fly kites to seek tranquility for my soul,” said another enthusiast of kites. Dinh Van Tuong said villagers were keen on the kite flying festival early next year to mark the 1,000th anniversary of Thang Long-Hanoi. The village also intends to hold a kite flying festival on the embankment of the Nhi Ha river next month to celebrate the mid-autumn festival. It was an adventure waiting to happen. That was the simple explanation from a group of west Cumbrian kite surfers when they decided to complete a 30-mile crossing from the Isle of Man to England. “We’d sail our kites along the beaches in west Cumbria and see the Isle of Man in the distance and think, that’s something we should try,” explains Fraser Dooley, one of those who completed the record breaking challenge two years ago. Now Fraser, Andy Wright, Stuart Wood, Nick Elliott, Martin Sandwith and John Flinn have decided to go one step further. In September the six will kite surf from Ireland to England, raising money for three charities: the NSPCC, the RNLI and the Maryport Inshore Rescue Boat. The 2007 crossing raised more than £2,000 but Fraser and co are hoping to beat that figure this time. The plan is to set off from Cloughey, south of Belfast, and sail towards St Bees, accompanied by two boats from Maryport-based company Ventures West. The crossing will take around eight hours, a mammoth undertaking by anyone’s standards and one which will test both their physical and mental fitness to the core. This summer the group have been training as much as possible though the recent heatwave, when there was hardly any wind, put paid to practice sessions for a couple of weeks. Last Sunday, however, they completed a crossing from Allonby to Southerness in Scotland, a 10-mile trip each way and had a practice run with the Ventures West crew. “That session was really good, we spent about two hours training on-beach and off-beach at Allonby and practised dropping our kites and being rescued,” explains Fraser, who runs outdoor adventure company Extreme Euphoria and teaches kite surfing. The recent training day also involved a crossing to Scotland but Fraser says it was no easy task. In fact the practice run has given the group another reality check about what they can expect come September. Fraser admits he is nervous already. “What we are signing up for is huge. After just 20 miles to Scotland and back you feel it. “If it’s fast, rough and pounding it will be a shorter trip but will be incredibly demanding on our bodies. If it’s lighter winds and smoother conditions, you can steady away at it but it will take longer. It’s a Hobson’s choice really”. The group have managed to secure sponsorship from several companies which has allowed them to use the rescue boat services and fund safety equipment. But no matter how much training they do, and even with all the safety procedures in place, one thing can never be guaranteed: the weather. Nick explains: “It’s completely dependent on the weather. We choose to do the crossings in September because in theory it’s the best time: the weather’s warm, the sea is warm but the wind is picking up. And because it all depends on the elements, the group don’t have an exact date for the crossing. Instead they are all keeping two weeks free between September 14 and 27. Some are self employed and some have taken the time as holiday from work. During the fortnight they will check the three-day forecast. So why have they signed up? Until now, two kiteboarding organizations from different regions of the globe have claimed to crown the world’s best kiteboarder. 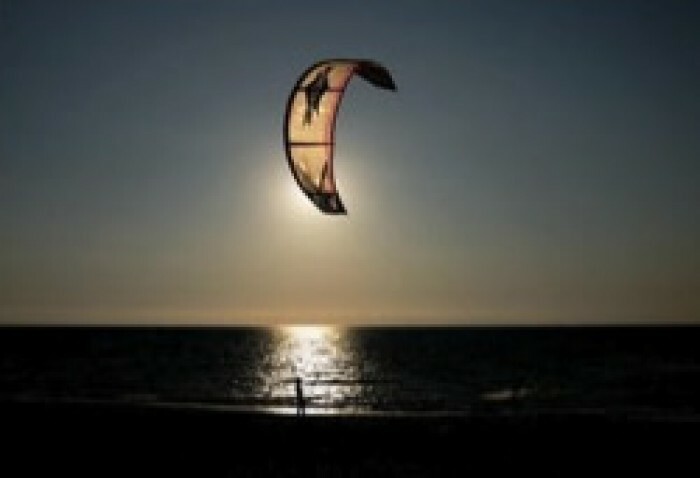 In pursuit of a truly global champion, the International Kiteboarding Association (IKA) petitioned the International Sailing Federation (ISAF) to approve a petition to combine the Kiteboard Pro World Tour (KPWT) and Professional Kiteboard Riders Association (PKRA) World Tour. The ISAF approved the petition. Aaron Hadlow of the UK is the current and five-time winner of the PKRA Tour. Jesse Richman of Hawaii, USA, holds the current title for the KPWT and isn’t even 20 years old. The event is part of the Summer Games programme run by UNRWA – an activities and curricular programme set up for students during their break from the academic school year. More than half of Gaza’s 1.5 million people are under the age of 18 – so there is no shortage of potential record-breakers. Thousands of teachers give up their summer holidays to partake in the programme each year that is aimed at fostering a positive summer experience for Gaza’s children. The kites had to remain in the air for 30 seconds all simultaneously – and when it came time for the record – the media, fans, and above all the children were not disappointed. 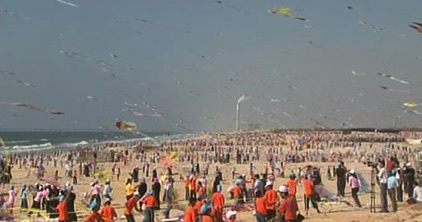 “There is a glorious symbolism about thousands of children in the world’s most locked down community heading to the beach with beautiful kites they have created themselves and showing the world that they are able to have fun like kids anywhere and indeed, be number one in the world,” Chris Gunness, the UNRWA spokesperson, said. “Thousands of kites, soaring skyward with kids gazing upward allowing their thoughts to rise up from the grind they confront on the ground: it is a symbol of the quest for happiness, freedom and human fulfillment,” he added. The event’s organisers say they have succeeded in inspiring the children of Gaza to gaze into the skies above, whether the Guinness record is shattered or not. So as Gaza’s blue skies turned into an array of coloured paper kites, the sounds of children laughing and paper flapping served as reminder to the youth of Gaza that they, too, can be among the world’s best despite the odds. The numbers are in following last Thursday’s attempt to set the Guinness World Re-cord for simultaneous kite flying in Enid. After totaling registration forms, Stanley Hicks, a board member of Enid Habitat for Humanity, said the city had 2,598 kites in the air early Thursday afternoon behind Autry Technol-ogy Center. That’s well short of the current record of 3,710 kites, set July 30 in the Gaza Strip. Despite Enid not getting the new record, Hicks said $25,000 raised from the event will go toward building a new house through Habitat for Humanity. Hicks and Richard Der-mer, who coordinated the event, told the crowd participating Thursday Enid had undisputedly set a North America kite-flying record. Enid would have set the actual Guinness World Record had children in the Gaza Strip not set it less than two months ago, while Enid was in the midst of preparations for its own event. The previous record was set in Germany with 967 kites. Nevertheless, Brent Kis-ling, executive director of Enid/Garfield County Devel-opment Alliance, heralded the success of the event. “The weather was wonderful, the organization of the event went very well and all of our participants in the wind forum thoroughly enjoyed their time in Enid,” Kisling said. Before the kite event, the development alliance hosted a wind energy forum, a conference that brought together 37 executives from 14 wind companies from around the region. One of the main goals of the forum was to discuss the possibility of bringing wind energy jobs to Garfield County. “There were some specific successes we feel have come out of the forum that we want to make public over the next 30 to 60 days,” Kisling said. As it turns out, Kites Over Enid may not just be a one-time thing. Hicks said he and other Enid Habitat for Humanity board members had a meeting Monday morning to discuss the possibilities of trying to set the record again next year. Kisling also thought the event could be done again. “I think with a year or a couple years of planning, we might be able to make a statement with something like this,” he said. Hicks sounded confident it could happen. “If I had a guess, I would say yes, Enid will have a kite event next year,” he said. Cargo ships and other seagoing vessels may soon be partly powered by high-altitude kites under a European project supported by Swiss researchers. The Arc Engineering College in western Switzerland is one of nine European universities and partners working on the three-year KitVes venture, launched last year, to generate electricity on board ships. Unlike a previous concept announced in 2008, which uses kites to harness wind power to supplement ships’ propulsion systems, the KitVes project generates electricity to support onboard auxiliary services, such as electronic equipment and air conditioning. It generates power by raising and lowering 100m2 kites to and from altitudes of 1,000 metres, explained Valérie Briquez, coordinator for the project at the Arc Engineering College based in Le Locle. “A kite flying at high altitude catches the wind. It pulls on cables and this traction causes an electrical generator to rotate,” Briquez told swissinfo.ch. When the cables are entirely unwound the kite is guided to a position where it loses its wind resistance and the cables are wound in. Based on this “yo-yo” phenomenon, the energy consumed by the winding phase is just a fraction of that generated during the unwinding stage. 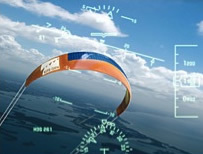 The idea for the European Union-funded project was dreamed up by the Italian company Sequoia Automation, which is also developing kite-powered wind farms. “The difficulty will be to bring the kite back down without wasting energy or as little as possible,” she said. But if sufficient energy is generated, it could be used to power an electric motor on a ship, added the Swiss coordinator. According to the KitVes website, the current project could generate between 60 kilowatts and 30 megawatts of power for one ship, depending on the set-up. “Different studies have shown that in the troposphere, situated between eight to 15 kilometres [above sea level], there is always constant wind,” Briquez said. At higher altitudes, average wind speed increases. At 80 metres above the ground, the height of the latest generation of wind turbines, the average wind speed is estimated at 4.6 m/s while at 10 metres above ground level it is even lower – 3.3 m/s. Experts say wind power starts to become interesting at 800 metres, with constant winds of around 7.2 m/s, which can generate almost four times the wind power of wind turbines (205 watts per square metre versus 58W/m2). In the KitVes project, kite wings will be fitted with electronic sensors so that data on position, acceleration and orientation can be sent to a control unit on the boat. Motors located on board the vessel will control the kite’s flight paths and also act as power generators. The Arc Engineering College, which has specific mechanical and electronic expertise, is responsible for three specific areas of the KitVes project. “We have to work out how to supply the sensors with energy when they are flying at an altitude of one kilometre,” explained Briquez. Researchers at Le Locle will also carry out tests on the resistance of polyethylene cables used on the kites. And they will devise a computerised mathematical model of all possible movements of the kite, cables and motors, to be able to predict its behaviour. “It’s an extremely gratifying project, as it promotes our skills and is attractive for students. The new generation of students is very interested in renewable energies,” said Briquez. Other KitVes partners will be looking into issues like materials, security at sea, flying regulations and the prototype boat. So far, the kite’s yo-yo effect has been successfully tested on terra firma on specially adapted trucks, but two ships have been identified and a prototype should be ready next year. AMSTERDAM — Now that more and more ships are using skysail kites which sometimes fly as high as 300 meters (~1000 feet) to help tow them along to conserve on fuel, a dangerous situation is posed to airplanes by both the kites and the tether. Last Tuesday a pilot was flying at over 300 meter height just below the clouds in its chosen flight path over southern Nordsea, and had started to descend. Then suddenly the pilot saw a skysail of tens of square meters and had to take evasive action. He barely avoided collision, according to Eurocontrol, the European air traffic control. Obviously, something will need to be done so that both can be deployed without endangering each other. The above story is modified from a Dutch version that appeared today in De Telegraap, Binnenland. Airborne turbines like these depicted in this illustration could generate electricity from strong high-altitude winds. The hundreds of wind turbines planned for electricity production in the South just might become yesterday’s technology some time in the next decade. That is a prospect held up by Mid-Canterbury engineer Pete Lynn, who has spent two years as a consultant for a United States company developing kites for use in electricity generation. While the idea of flying generators spinning in the wind on a kite attached to the earth by a kilometre-long cable might seem an unlikely prospect, it is exactly the sort of project under way in half a dozen laboratories around the world. Until recently, Mr Lynn worked in the Californian laboratory of Makani Power, helping develop “a big wing” to carry wind generators. While he is still bound by a confidentiality agreement, he hopes the public will see signs of progress over the next year. Nature magazine reported last month that Makani has generated small amounts of power from kite systems and is planning to run a bigger prototype “this year”. Makani’s website offers little detail about its plans to “harness high-altitude wind energy” but claims kite power would be cheaper than coal-fired power plants, “the current benchmark of the lowest cost source of power”. Leader of the Makani project, Australian inventor Saul Griffiths, has been quoted on CNN describing kites that fly “autonomously” carrying propeller driven turbines. Mr Lynn told the Otago Daily Times this week that control over the kite, or wing, was the big issue to be resolved but technology already allowed commercial jets to land and take off automatically. “One of the complexities is that the wing has to fly on the end of a tether . . . which means you can’t use the traditional software exactly or the autopilot systems exactly. Mr Lynn said although each new fuel crisis gave a boost to interest in kite generators, the “tipping point” had not yet been reached to make it a commercial reality. He believed kites would ultimately be much cheaper than wind turbines and would supersede them. Mr Lynn compared a typical 3-megawatt wind turbine against a kite producing the same amount of electricity. 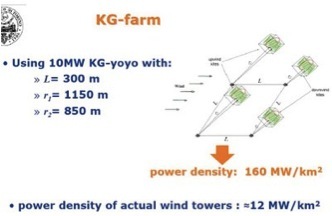 The wind turbine, excluding the foundation, would weigh more than 270 tonnes. The equivalent kite system would weigh less than 30 tonnes, including a 10-tonne kite and a 10-tonne tether carrying electricity to the ground. Mr Lynn said kites a kilometre above the Earth’s surface were able to use stronger winds and “sweep” much more sky than a wind turbine. Mr Lynn said kites would be much more obvious over a wider area and would ideally be used at sea. Launching and landing a kite would be achieved by putting power back into the system, causing the rotors to act like the blades of a helicopter. “All the components have been well demonstrated. And that was the task Makani was engaged in, with more than $US15 million of funding from Google. Mr Lynn said his part in the project was now over but he would continue to “encourage from the sidelines”. Mr Lynn’s father, also Peter, is a world renowned figure in harnessing the power of the wind for such things as kite-surfing. Son Pete (35), with a University of Canterbury engineering degree and an interest also in kite surfing, has spent the past five years pursuing the idea of using kites for electricity generation. TrustPower, which has resource consent to erect 147 3MW wind turbines at Lake Mahinerangi, inland from Dunedin, and Kaiwera Downs, in Southland, monitors new and emerging technology. However, community relations manager Graeme Purches said kite electricity generation was far from being proven to be viable and would have no impact on the company’s plans in Otago and Southland. The company has not set a date for work to begin on either wind turbine project. Makani, California: A kite wing tethered at either end carrying generators driven by propellers up to a kilometre from the ground. Bigger prototype due this year. Sky Windpower, California: An unmanned helicopter with four horizontal rotors. A small prototype is due to be tested this year. Astronaut and physicist Wubbo Ockels, Holland: A “laddermill” with multiple kites at various heights driving a turbine on the ground. Magenn, Canada: A spinning dirigible. Up and Away:The kite generates electricity as it ascends. © 2009 KiteGen Research S.R.L. A kite flown in a strong breeze will quickly unspool string as it climbs higher. 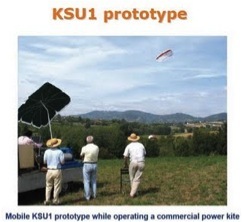 KiteGen Research in Italy aims to turn that action into electricity. The company developed a prototype that flies 200-square-foot kites to altitudes of 2,600 feet, where wind streams are four times as strong as they are near ground-based wind turbines. As the kite’s tether unspools, it spins an alternator that generates up to 40 kilowatts. Once the kite reaches its peak altitude, it collapses, and motors quickly reel it back in to restart the cycle. This spring, KiteGen started building a machine to fly a 1,500-square-foot kite, which it plans to finish by 2011, that could generate up to three megawatts—enough to power 9,000 homes. Tracking high impact progress to the technology future, future technology and especially advanced nanotechnology, nuclear and energy technology, quantum computers, life extension, space technology and AI. Proposing and tracking the best societal, business and technical choices to the next big things that will shape our future. Official Lifeboat Foundation news source. Popular Science’s most recent magazine (on newstands Sept ,2009) has a brief two paragraphs which indicate that Kitegen is building a 3 megawatt system with 1500 square foot kite sail. This is scheduled to be completed in 2011. This is 75 times larger power than a 40 kilowatt demo system that was produced. About 5 months ago, this site noted that kitegen had gotten funding for larger project work and the developers indicated in the comments and email that the funds had not been dispersed at that time. This entry was posted in 2009, Issue 68 (Sep/Oct), Kite Columns, KL Archive, News Reel and tagged world news.